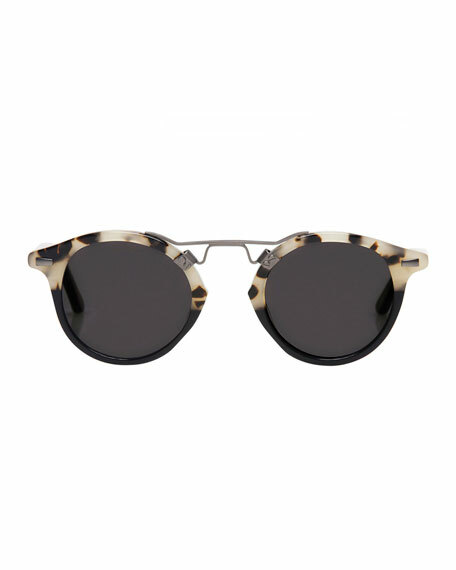 Krewe "St. Louis" round sunglasses. Screw detail at pinched double nose bridge. 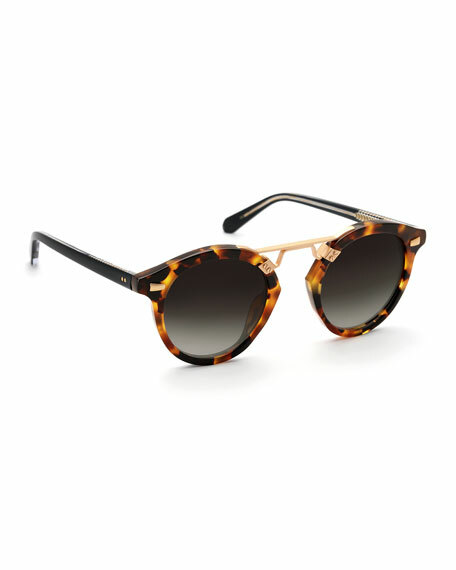 Peaked, two-tone frame front with linear studs. Thin, translucent arms reveal hardware. For in-store inquiries, use sku #1856443.